Offering you a complete choice of products which include single spring seal, metal spring seal, multi spring seal and wave spring seal. Single Spring Seal is designed with pusher seal with thick section components. These are extensively used for various dirty services. These are fitted with large cross section elastomer U-cup dynamic gasket for effective usage. 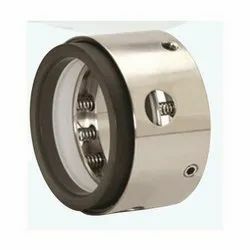 These are engineered in accordance with international industrial standard and in accordance with the precise demands and requirements of clients. Graphite gasketed silicon carbon rotating face provides excellent heat transfer. 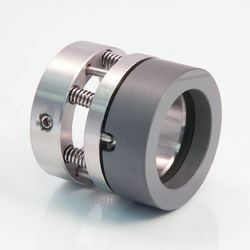 High pressure rotating face design for applications between 27.6 bar and 69 bar. Extra heavy duty face geometry and drive features suitable for high torque. High pressure, and high speed. Hydraulic Seals prevent leakage of fluid from within the cylinder to the outside. This allows pressure build up on one side of the piston, making the Cylinder extend or retract. 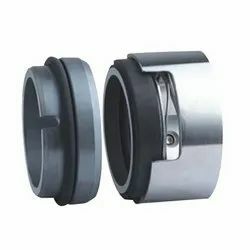 Wear rings guide the piston and piston rod within the hydraulic cylinder, absorbing transverse forces, preventing metal-to-metal contact. Scrapers or Wipers scrape dirt, foreign particles, chips or moisture from the piston rods as they retract into the cylinder, preventing contamination. We are offering Multi Spring Seal to our client. We are offering Wave Spring Seal to our clients. Looking for Spring Seals ? Octane Sealing Technologies ( I ) Pvt. Ltd.